World’s Largest Tractor Manufacturer uses cutting edge Factory Automation Solution to rise, accepting no limits. 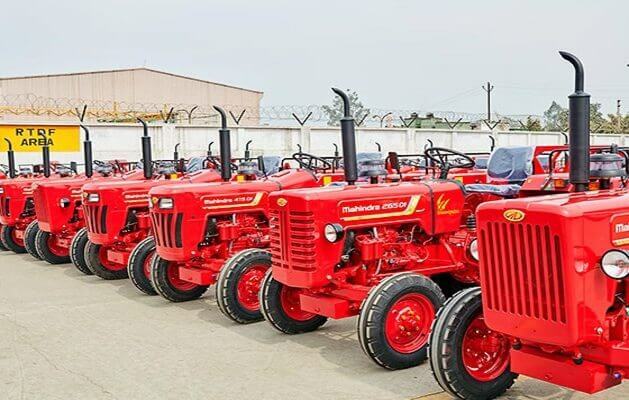 Mahindra & Mahindra Farm Equipment Sector (FES) is now the world’s top tractor brand, supporting the growth of not only the Indian but also the global agriculture industry. The long-standing partnership of Mitsubishi Electric and Mahindra & Mahindra FES stretches over quite a few years. The company stands alongside Mitsubishi Electric’s FA which services the factories of major automakers in the area. 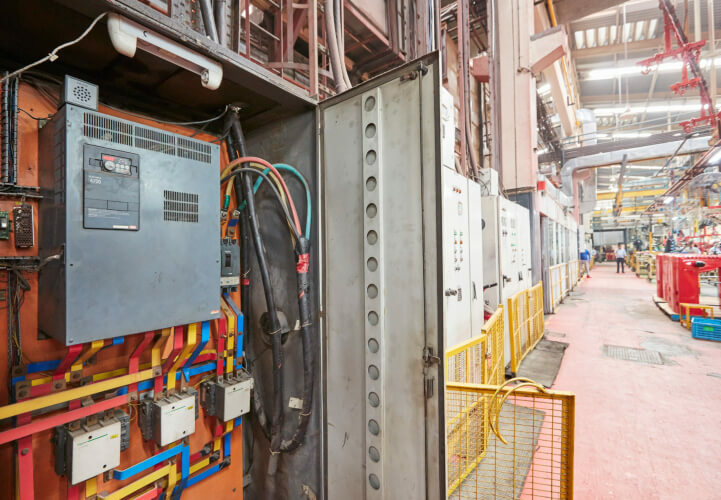 For the past two years, Mahindra & Mahindra FES has been working with Mitsubishi Electric to implement its new “digital factory” initiative – a byproduct of its faith in Mitsubishi Electric focuses on exhaustively eliminating downtime. The digitalization of its factory and subsequent implementation of Mitsubishi Electric’s e-F@ctory (factory automation) are essential measures for the company to meet the modern-day demand for reducing breakdown time, and are also aligned with the Mahindra Rise corporate precept of challenging themselves to the limit by boosting productivity and carrying out even more preventative maintenance. 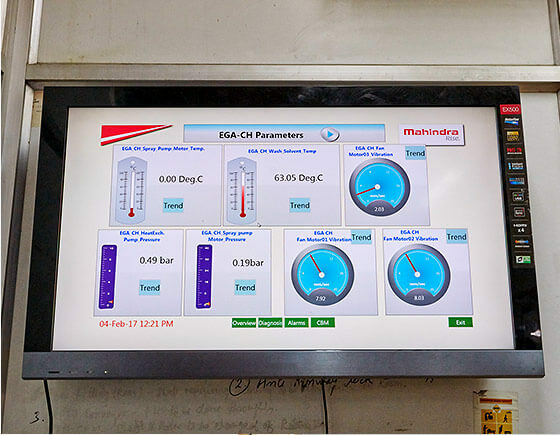 Mitsubishi Electric were taken on a tour of the factory of Mahindra & Mahindra FES Farm Division, while learning about the benefits of digitalization and the e-F@ctory initiatives. Production line parameters and other relevant data are accumulated in the host system and made visible in the large monitor that is virtually right in the center of the factory. The digital factory initiative is being used here to visualize the production status, as well as for tracking and Preventive Maintenance. It’s now possible to generate reports on the factory’s operation and maintenance status. This report enables them to find malfunction in advance for achieving production target. Machine and Line wise Downtime Report. 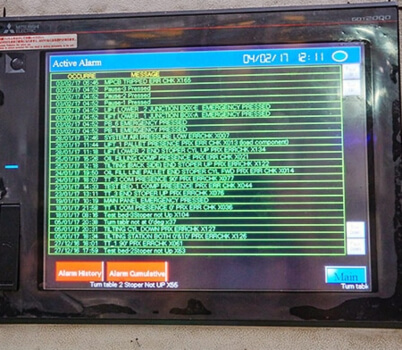 Alerts are visualized in display monitor, if there are any abnormalities in the motor or current, voltage, and power factor. This enables immediate responses, and also reduces burdens on supervisors. 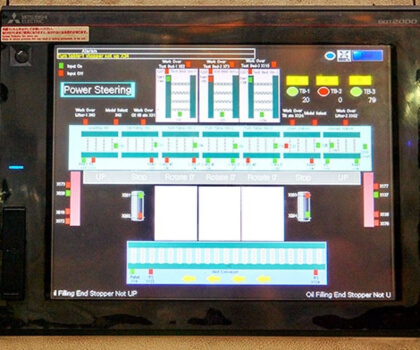 This panel detects any abnormalities in the motor’s temperature, vibration and pressure, and then remotely sends an alert. The motor’s temperature, vibration and pressure parameters are already set in the program, and an alert is sent if it seems like any one of them will go above the set parameters. This system also enables checking the motor’s corrosion level, and quickly ordering a replacement as required. Some of Mitsubishi Electric’s Indian customers have been highly ranked in TQM including Mahindra & Mahindra FES and Rane Madras, which has received the Japan Quality Medal (renamed the Deming Grand Prize in 2012) in 2007 and 2012, respectively. Mitsubishi Electric’s e-F@ctory is empowering the country’s “Make in India” policy aimed at boosting its international competitiveness. Mitsubishi Electric offers flexible FA/IT solutions that do not require the replacement of all equipment. These solutions have helped Mahindra & Mahindra FES to achieve an optimal balance of manual work and automation in its factory, and set up a lean and flexible product line. 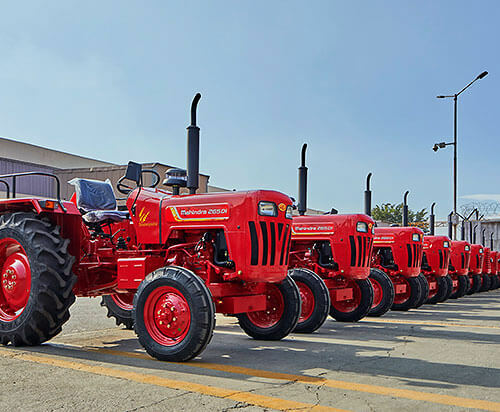 The world’s largest tractor brand with factories in India, China, America, Australia and Africa. 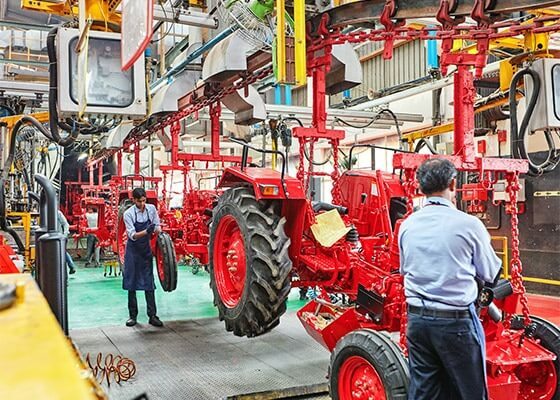 The Mahindra Tractor Rudrapur factory featured in this article uses an end-to-end integrated production line for its tractors. *A top-class company that also runs factory tours for many observation groups from Japan.